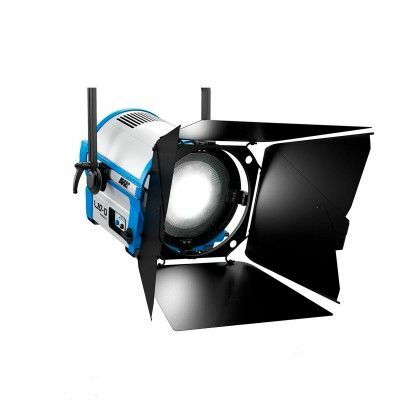 Lens Diameter: 274 mm / 10.8"
Size (H x W x L) : Manual Version: 714 x 502 x 560 mm / 28.1 x 19.8 x 22"
Pole op Version: 719 x 480 x 560 mm / 28.3 x 18.9 x 22"
Daylight Tuneable allows for fine-tuning of the daylight color temperature from 5,000 K to 6,500 K with increased brightness over the L10-C, and is particularly suited to applications requiring precise matching to daylight balanced light sources. The L10 is the brightest and largest L-Series lamphead to date. 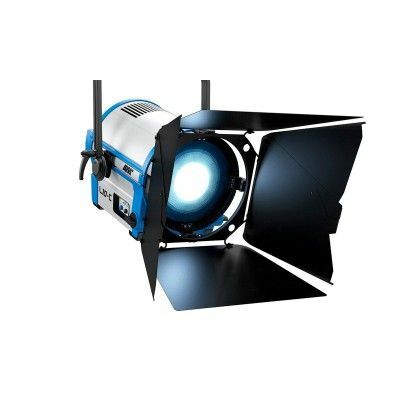 Its substantial 10 inch Fresnel lens and powerful output allow for more distant fixture placement and the wrapping of light around objects in a natural and pleasing way. 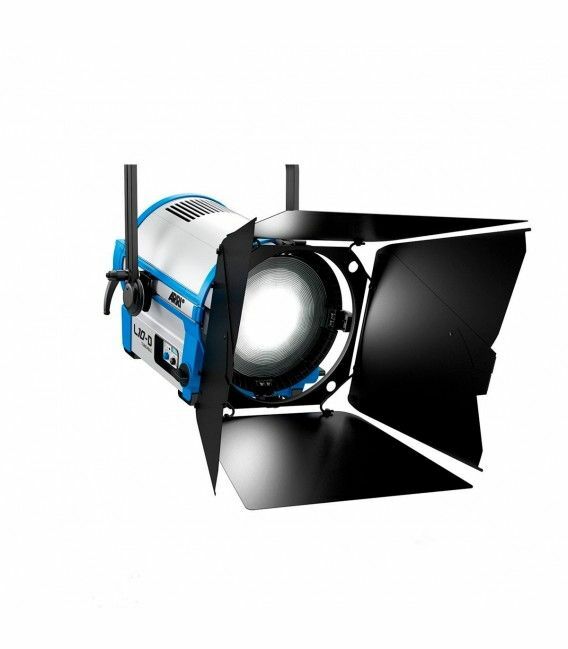 At more than twice the brightness of the L7, the L10 is also one of the brightest LED Fresnels on the market. As with the other L-Series lights, the L10 comes in three versions: the L10-C (Color), L10-TT (Tungsten Tuneable) and L10-DT (Daylight Tuneable). 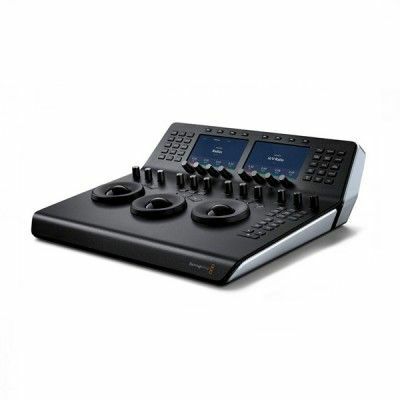 While the L10-C is the most versatile with regard to color tuneability, producing vivid colors with saturation control, the L10-TT and L10-DT are brighter than the L10-C and still offer a select CCT tuning range. 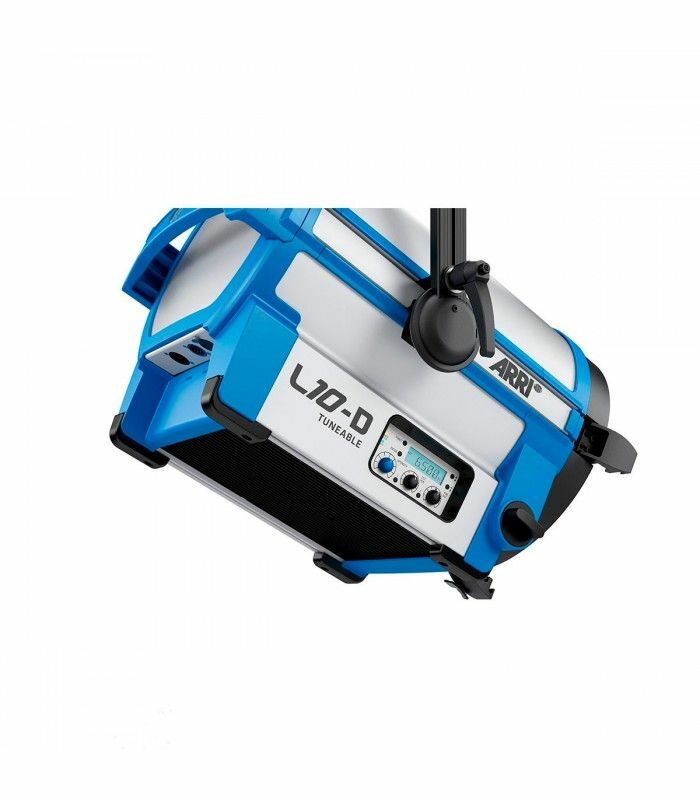 In a robust housing that combines aluminum with high-strength, fiberglass-reinforced thermoplastics, the L10 is designed to withstand the stresses of diverse professional environments, from motion picture sets to television studios and everything in-between. 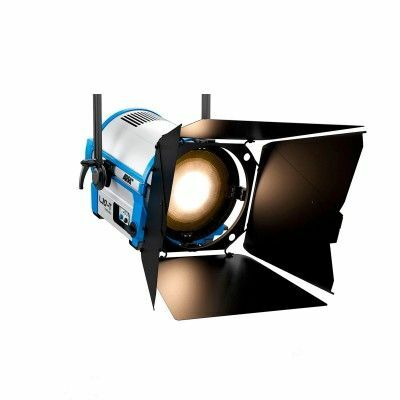 This robust construction allows the L10 to live up to the benchmark of rugged durability set by other ARRI lighting fixtures. versions include the following base configuration: 28 mm Spigot (Junior Pin), 1.5 m (5 ft) Cable with Bare Ends, Integrated 5-Pin DMX In and Thru. 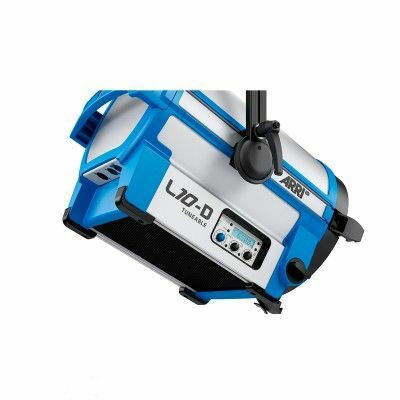 versions include the following base configuration: Pole Operation for Pan, Tilt and Focus, 28 mm Spigot (Junior Pin), 1.5 m (5 ft) Cable with Bare Ends, Integrated 5-Pin DMX In and Thru.